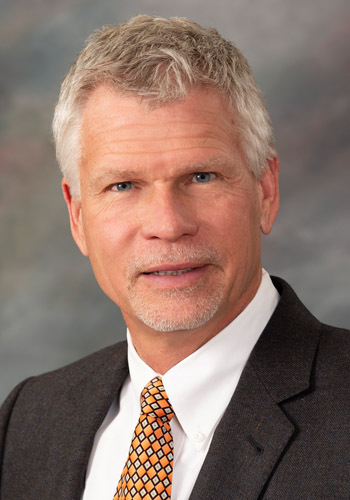 Guy W. Rogers - Mediator based in Billings, Montana. If you’d like a list of available dates for Guy Rogers, please submit a request below. You will hear back directly from Guy's assistant, Sylvia Basnett. Guy is Montana born and raised and a senior partner in the Billings office of the Brown law firm. He is AV Preeminent rated and his practice is split between mediation and litigation defense. His mediation and litigation practice areas include personal injury, medical and legal malpractice, liquor liability, employment, property damage/construction, products liability, and wrongful death and survival actions. Guy's insurance law practice includes mediating and litigating bad faith and insurance coverage. Selected by his peers as a Mountain States Super Lawyer for the years 2007 – 2018 in the area of civil litigation defense. Board of directors for the Montana Justice Foundation from 2004 through 2007.